Micky traveled safely to his new home. We are sad to say goodbye to our little friend but after seeing photos and hearing from his new mom we are thrilled about his new life. Another happy ending! Animal Zone International is planning its Second Annual Argos Fall Benefit in New York City for November 13th, from 6-8pm. Please come and support us if you can! Contact Jamie at Astic Productions at 212-581-1400 or jamie@asticproductions.com. 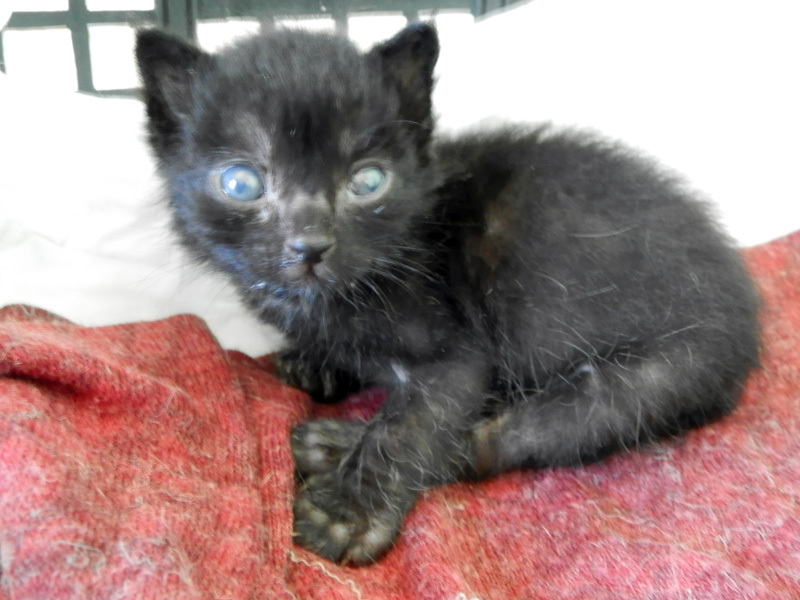 A couple of new very young kittens have arrived at the center and are slowing gaining their health and strength. 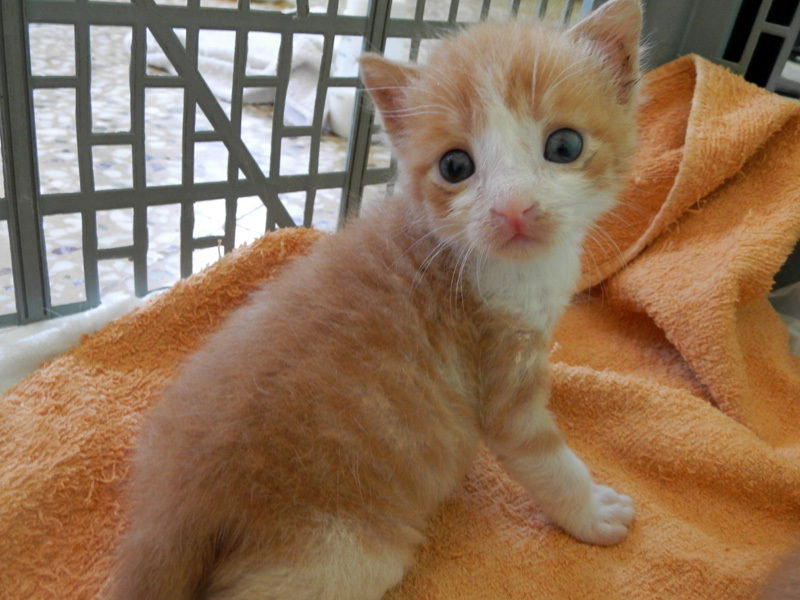 Artemis, with the beautiful blue eyes, is a female kitten brought to the center as a 1-month old. A kind young man found her and wanted to keep her but his landlady had a different idea about that. 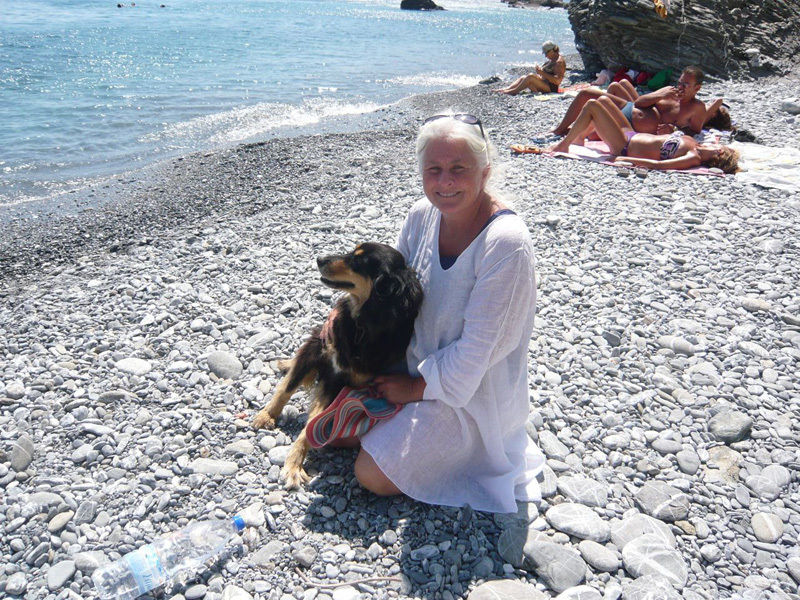 He brought Artemis to our center and even offered to do some voluntary work there, which we welcome wholeheartedly. 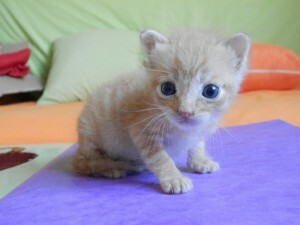 Fidias and his brother Friksos came to our shelter as frail 1-week old kittens. For some reason their mother rejected and abandoned them. 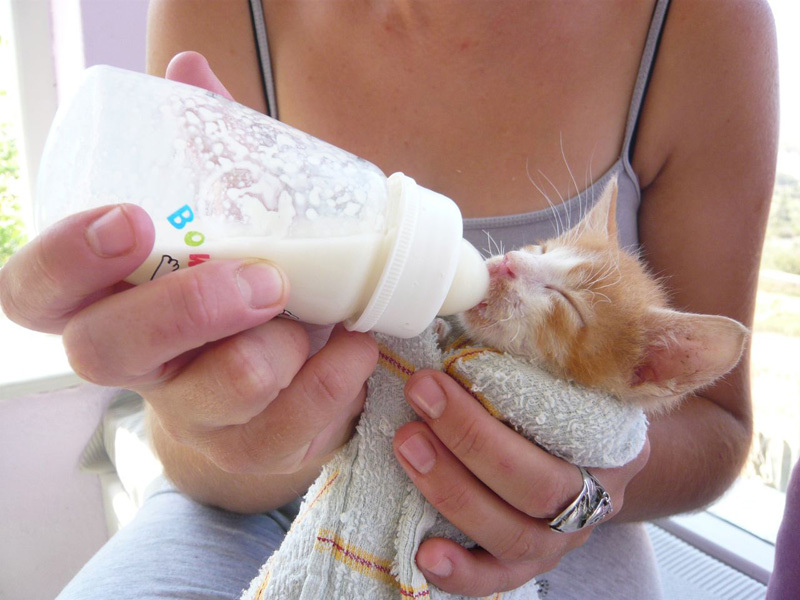 They were found by a man who was concerned for their welfare and brought them to the shelter. Unfortunately, Friksos did not survive despite our best attempts. However Fidias is doing well and growing up. These lovely kittens will be available for adoption in a few months. Won't you consider giving one of them a new home? Conan was brought to the shelter April 2012 by Lamia. At that time he had a large tumor over his right eye and tumors on his legs, yet he had still a huge appetite for life--he ate well and enjoyed playing with the other cats. So we treated his tumors as best as we could, removing the ones that bothered him and his life passed happily at the center. His big personality and courage despite his condition made him a favorite among us. Sadly, it became clear to us recently that he was losing the battle to cancer and it was time to make that difficult decision and offer him a dignified death. 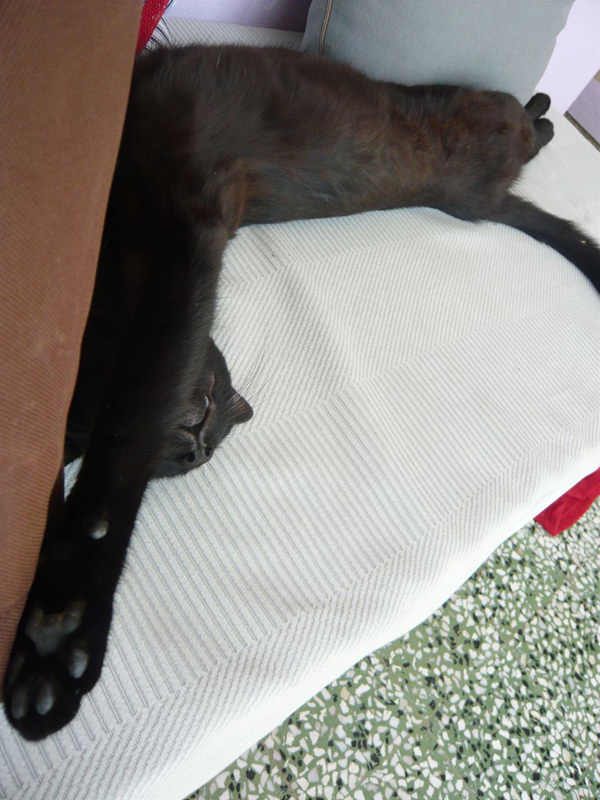 Conan died peacefully in Lamia's lap last week. His presence is sorely missed at the center but we are sure he is in a better world now, free of suffering and a big handsome cat again. 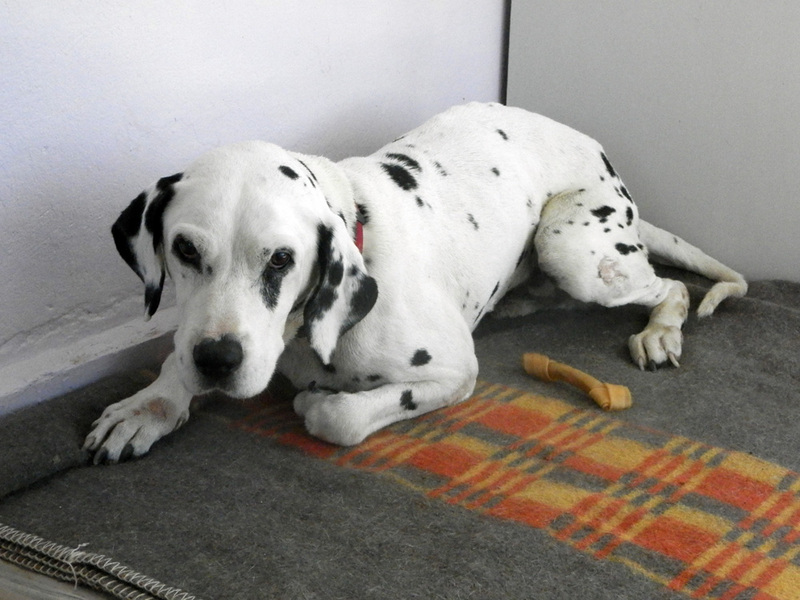 Fwtis is a 12-year-old Dalmatian who belongs to a pharmacist but is now living out his life at the center. 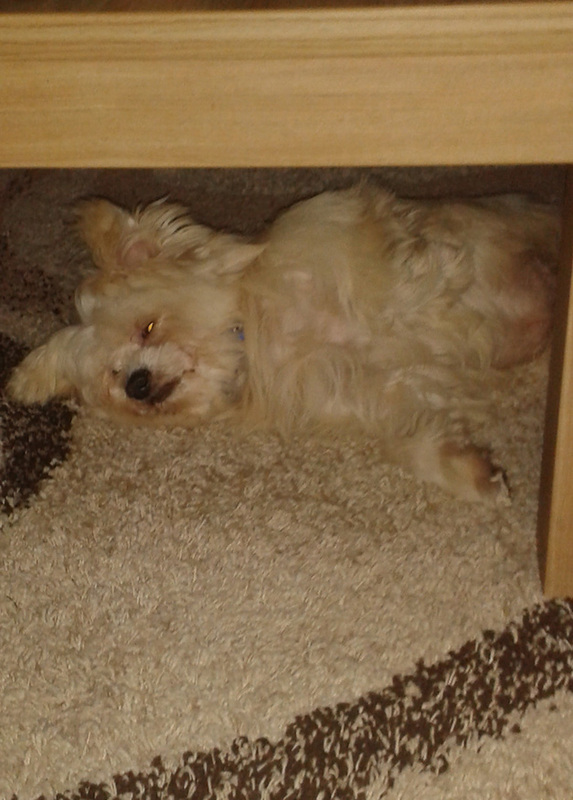 Due to his advanced age he is deaf and has problems with his hind legs which makes walking difficult for him. He is a very sweet and calm old guy who enjoys his quiet new life with Litsa and the animals of the center. Below, left: Stefanos, the son of the president of Filozoiki Merimna Amorgou Mrs Angeliki Palioura, has become best friends with the donkey Lambro. Stefanos takes Lambro out for walks very often, and Lambro stays very calm with him. Below, right: Maria comes almost every day to visit the center with her babysitter. You can see how much she enjoys the company of the animals. She and Liza, the rescue dog, are good friends. She also gives big smiles to the kittens. The visit with the Fasseas family is going well and has been especially lucky for Josephina, one of the many stray dogs of Greece—she's been adopted by Alexis! As you can see, they have already become good friends. 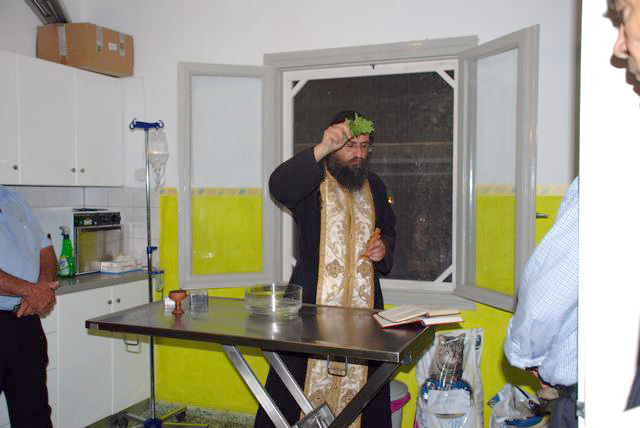 A dinner was given in honor of the Fasseas family, hosted by the Philozoike of Amorgos. Here are, from left: Peter Fasseas, Alexis Fasseas, Paola Mieli, Paula Fasseas. 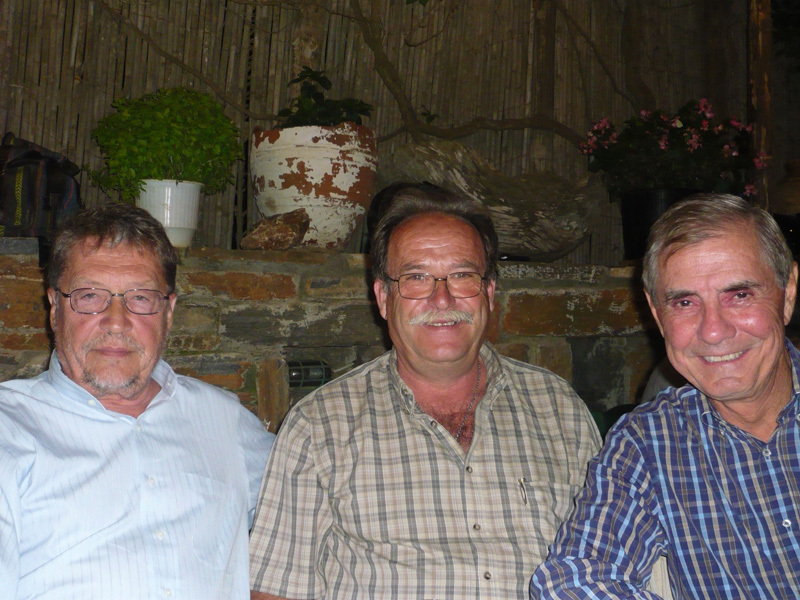 From the right are: Panaghiotis Coveos; Nicolaos Fostieris, the former Mayor of Amorgos; and Angelike Palioura, the president of the Philozoike. These adorable kittens, including Chloe, were rescued this summer. Several were raised by the bottle. They will be available for adoption once they are over 2 months old. 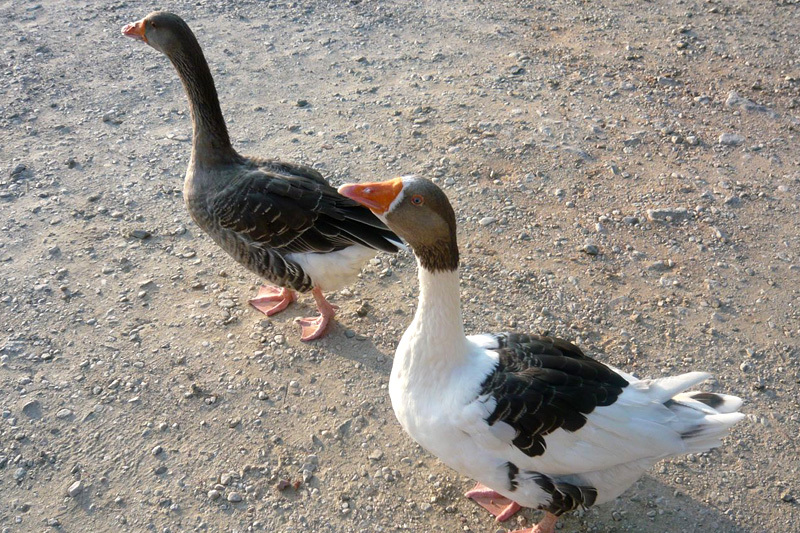 Are you able to give one of them a home? 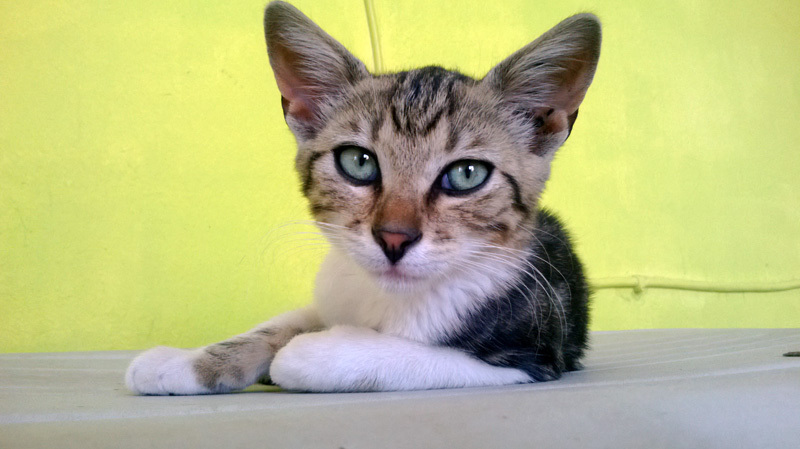 Visit the Adoption page to read more about our available cats and kittens. Here are some recent photos of our rescue kitten and dog, Chloe and Mickey. Both are doing great and are looking for loving homes.